The night I met Tiffany, I first saw her across a crowded room. She was wearing this smokin' hot red dress and had this beautiful mane of hair and red lips. She got up to lead the group in a meditation around the senses, and, well, you can just picture me sitting in the audience, wide eyed, jaw hanging slightly open, like ahhhh yeah, "I want what she's having!" In that pursuit, I learned that Tiffany can command a room with that kind of magnetism because of the work of her soul, the work of bringing the magic of the soul realm into her daily life. That idea might seem abstract or even unreal if you've never been exposed to it before - I know it did for me - but that's why I love this interview so much. It eases you in and has the potential to blow your heart wide open. This interview is deep. It's powerful. It's inviting you to go beneath the surface of your life, to go within, and to begin a process that isn't always easy, but is certain to be filled with expansion and possibility… and magic. Tiffany was one of the first people to inspire me to discover something greater and deeper within myself and to bring more magic into my life. It is my sincere hope that this interview brings a little bit of that magic to you. + A simple practice you can use when you find yourself feeling behind, comparing yourself to others, and wondering, "Why am I not there yet? 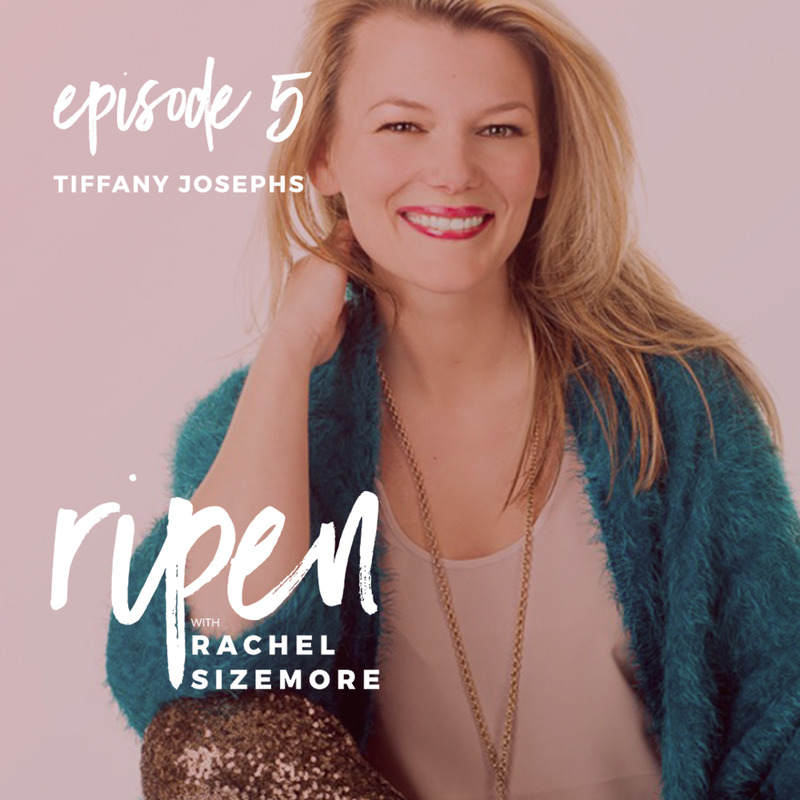 Tiffany Josephs is a mentor, stylist, and creator of Magic Carpet Life, a lifestyle blog for magic-makers and earth-shakers. A romantic at heart and mystic in her soul, she's devoted to inspiring more women to create lives they feel at home in, spaces they love to walk into, and a more colorful expression of personal style. Thank you so much for being a part of the Ripen community. If you're a fan of the show, I'd love to have your feedback. Please head over to iTunes to leave a review and rating. Don't forget to subscribe while you're there! You can subscribe to Ripen so you never miss an episode.